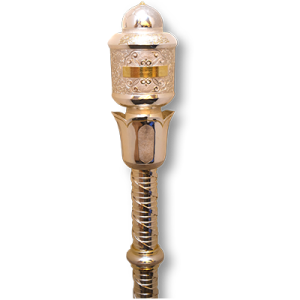 The Mace is a symbol of the University’s role as custodians of knowledge and learning and the authority in awarding degrees to those deemed as students. It is present during Convocation Ceremonies and precedes the Chancellor in the ceremonial procession. The University logo serves as a visual identity of the university. It consist of two colours, namely purple and white. Purple symbolizes the values of caring, nobility and spirituality where else the white represents kindness, wholeness and a sense of completeness. The rectangular shape was specifically chosen as it reflects a sense firmness, stability and strength. These are values required to be a competent & ethical professional.